LAS VEGAS – Augmented reality (AR) technology made strides in 2018 on multiple fronts and among several industry players, according to Mark Francis, product marketing lead for the Amazon Web Services (AWS) Sumerian augmented reality (AR), virtual reality (VR) and 3D authoring tool. Alibaba, AT&T and Google are among the investors in Plantation, Fla.-based technology startup Magic Leap. 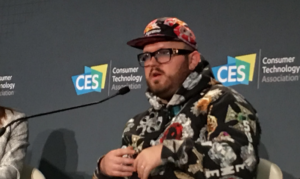 Amazon also recently created an AR video for Sony Pictures to help the studio promote the animated film Spider-Man: Into the Spider-Verse, Francis noted at CES. That mobile web experience was created by Amazon using its Sumerian tool for the creation of immersive applications, he noted. When Sony initially looked into creating a native AR app, the studio realized it was “pretty complicated and it was going to be costly because they were going to have to do so for each of the native platforms [and do it] globally because it was a global release, so they decided not to do it,” he said. But Amazon got involved about three months prior to the movie’s release and told the studio that, “instead of doing a native app-based AR experience, [it] could do a browser-based AR experience,” he recalled. Sony agreed to the concept and, “within two months, we went from first conversations to wireframes to going through” quality assurance to the AR video release, he said, noting Amazon collaborated with the companies 8th Wall and Trigger on the project. In the end, the AR video took only a few months in total to complete and cost “tens of thousands of dollars instead of many, many months and hundreds of thousands of dollars,” he told attendees. Meanwhile, AR Quick Look becoming available on the iPhone and “basically making native AR available to the device” was a significant plus for AR technology in recent months also, according to Nigel Tierney, head of content at RYOT, an immersive media company bought by Verizon in 2017. Verizon had “some significant success with integrating AR with our native apps,” including Yahoo Mail, Tierney said. But Verizon recently did an activation with the Huffington Post and a Quick Look article and “you didn’t need an app,” he noted. There are “some limitations with the technology as it is currently, but … I’m just super excited about that true democratization of AR — really just having it everywhere without having that friction point,” he said. 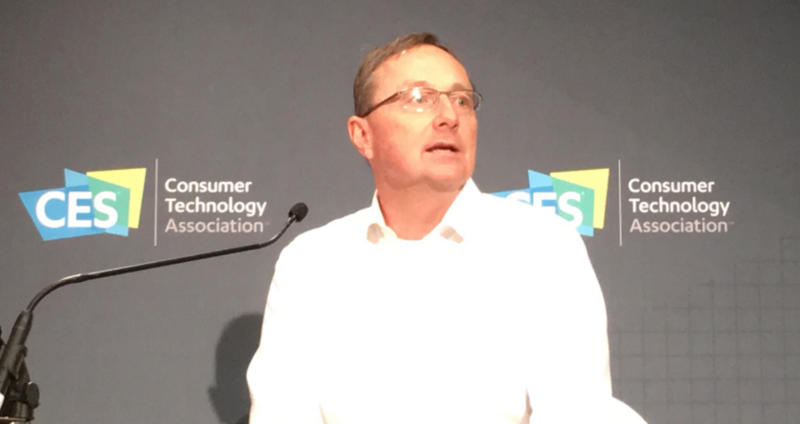 Tierney predicted “the power of 5G is really going to unlock all of this” and that next-generation wireless technology stands to be a major driver of enabling “really immersive, rich experiences” on devices, with artificial intelligence playing a role also.